« The “Eddie Cap” Tutorial is Done! The stars look fantastic, and I *so* sympathize with you on the puke situation. Hope everyone is feeling fine now. 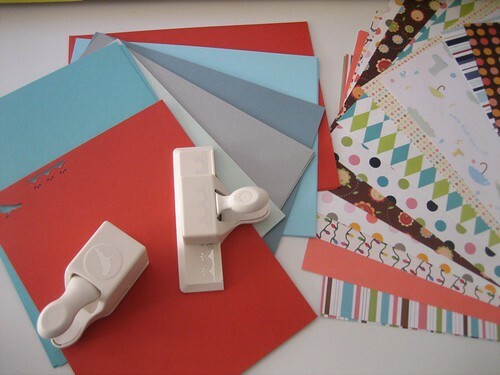 I’m going to keep an eye on your Christmas cards, I make about 250 each year and I’m just not feeling the motivation this time! Having a sick child is no fun at all and I hope recovery is soon. 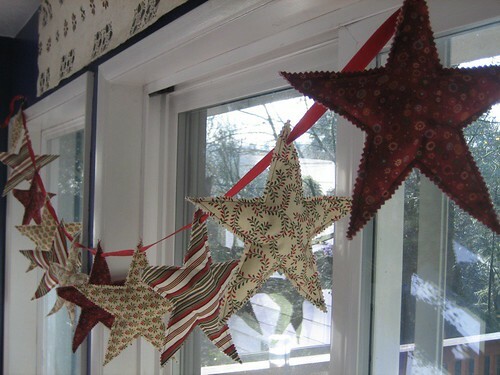 I absolutely love your stars–they look fabulous! Very cool. Im jealous of that snow;( Yes Jealous!! I love the stars.. they are so pretty. I’m going to try them today! I love those stars! I am so going to make some today!! Such a good idea. I made some stars too. I was going to try and sell them, but if I don’t that’s fine too because I’m really enjoying them in my window! Oh, That is a cute idea. What kind of fabric were you using? I love that idea and am going to try to make some for my holiday decorations. And just think if you use red, white and blue on some you can use them again at Memorial Day and 4th of July and Veteran’s Day. I think it was various Moda cotton prints. I can’t remember the names now, but it was just interfaced cotton which was a little time consuming, but worth it!